The Round 3 of Honda One Make Race is set to take off on full steam this weekend! The third round will witness a total of 57 entries from Honda across categories including 13 CBR 150R race machines leased to teams for National Championships. 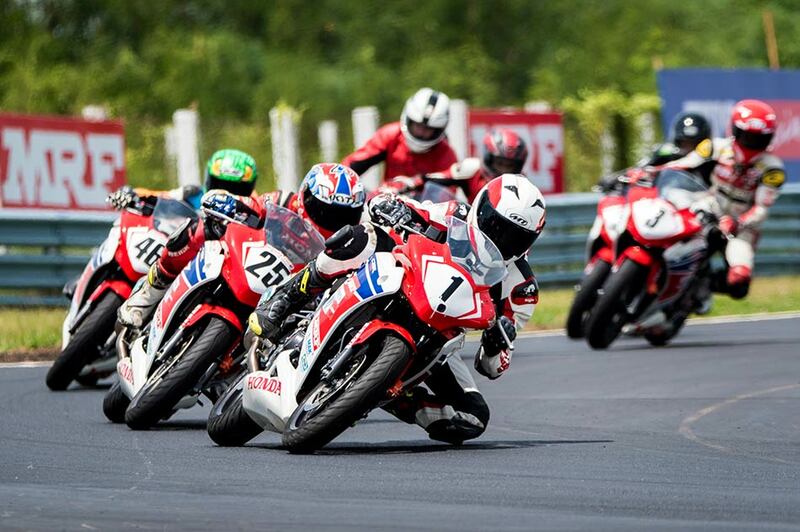 The three new categories of National Championship will see India’s best racers racing on the CBR 150R. Honda’s arsenal in the Super Sport Indian 165 (modified) category will be led by Asia Road Racing Championship participant Sarath Kumar (1st position in Round 1, 4th in Round 2). The Pro-Stock 165 (Open) will witness 4 CBR 150R’s on the grid with Asia Dream Cup winners Hari Krishnan (1st position in Round 1 and Round 2) and Sethu Rajiv (2nd position in Round 1 & Round 2) leading the battle. The Stock 165 (Novice) too will have 7 racers including Piyush Ranjan (3rd position in Round 2) competing on Honda CBR 150R’s. Honda’s flagship CBR 250R Team Championship will see intense competition between 13 racers from 4 teams (Apex Racing, Ten 10 Racing, Pro Lap Racing and Rock Star Racing). The grid will boast of India’s top notch racing talent including Asia Dream Cup double podium winner Hari Krishnan and last round’s top two finishers Mathana Kumar and Abhishek among others. The third round of the very successful Honda All Ladies race will see 7 female racers including last rounds top three finishers Soundari A from Chennai, Pooja Ajit Dabhi from Pune and Aishwarya P from Bangalore. To promote the participation of women riders, Honda had conducted the first-ever All Women Race during the Round 5 of 2015 season. This year the exclusive All Ladies Race has been made into a 5 round support race wherein all woman riders have been trained at the Honda Ten10 Racing Academy. 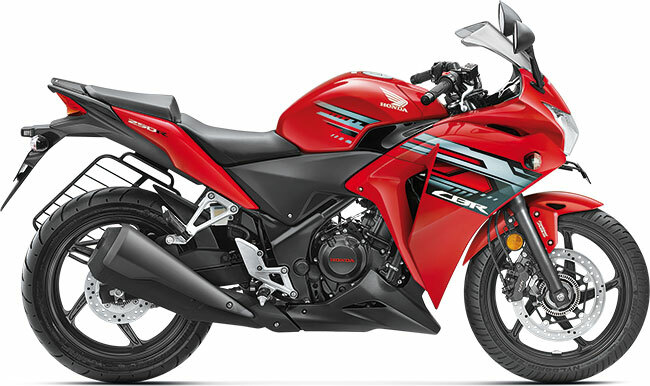 For the 2016 season, Honda has introduced new race-prepped racing versions of CBR 250R and CBR 150R. Developed with technical know-how provided by Honda’s Indian R&D team, both motorcycles are set to scorch the Madras Motor Race Track beginning this weekend. The new racing version of the CBR 250R got an upgraded Honda racing kit, including wiring harness with remapping option, advanced racing body cowl kit and equipped with endurance exhaust. The new CBR 150R gets a reprogrammed ECU. Honda leads racing culture with total of 57 entries across India in Round 3!